Leander is located at the intersection of Ranch to Market Road 2243 and US Route 183 about 22 miles northwest of Austin. Georgetown lies 5 miles to the east on Route 2243. According to the City of Leander, the city has a total area of 37.7 square miles. Under the direction of Leander Fire Department, the city’s Office of Homeland Security and Emergency Management (HSEM) is responsible for the planning, coordination, and implementation of local emergency management and homeland security activities. The city also manages an emergency operations center to coordinate local efforts during significant crisis, weather and other high-risk events. 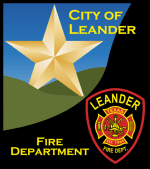 Leander uses the CAPCOG regional notification system to send emergency messages via phone, text and email to local area residents. Cell phone users must register at WarnCentralTexas.org to receive the notification system’s messages by phone, email and text. All city emergency management activities focus on four primary phases of mitigation, preparedness, response and recovery. To request assistance during an emergency, please call 9-1-1. Please do not send requests for emergency assistance or alerts from a social media account.